Gwinnett County GA Craftsman Style Homes for Sale. Search MLS listings Craftsman style homes for sale in Gwinnett County GA – new homes, resale homes. Craftsman homes for sale in Gwinnett County GA. Are you searching for a home in Gwinnett County? What something new and different with character and class? Why not look for Craftsman style home for sale in Gwinnett County? They’re different, unique and practical! Gwinnett County has a good selection of Craftsman style homes, and many are new construction. 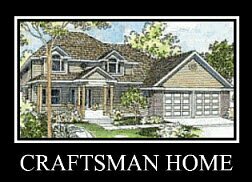 Craftsman homes are truly American are a nice change from the normal cookie cutter homes that we are used to seeing. Craftsman style homes are visually appealing to the eye in curb appeal, and yet they are very practical and simple in design. For more information about buying a Craftsman style home in Gwinnett County or Buford, Braselton, Dacula, Duluth, Grayson, Hamilton Mills, Lawrenceville, Lilburn, Norcross, Peachtree Corners, Snellville, Sugar Hill, Sugarloaf, Suwanee please feel free to contact us!